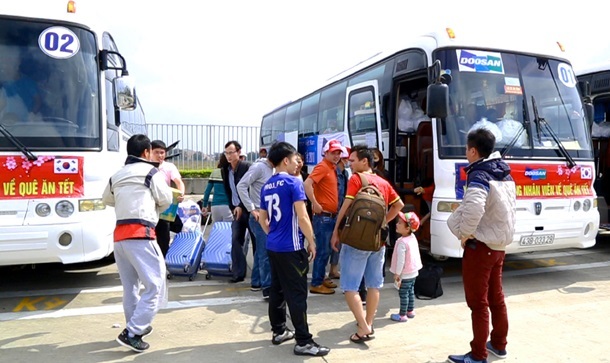 On 31 Jan 2019, ignoring the worries of millions of rural workers scrambling and fighting for tickets to go home during the Tet holiday, Doosan Vina's employees in Quang Ngai province were quite indifferent; still work normally because the company provided free buses to transport them and their relatives as well as taking them back to work after Tet. It can be said that Doosan Vina is one of the few companies in the country to implement this welfare policy for employees. Not only do its employees but the employees’ relatives are also supported with free transportation to get home for Tet holiday. At Doosan Vina, the outside-province workers occupy 12.8% of the total workforce. 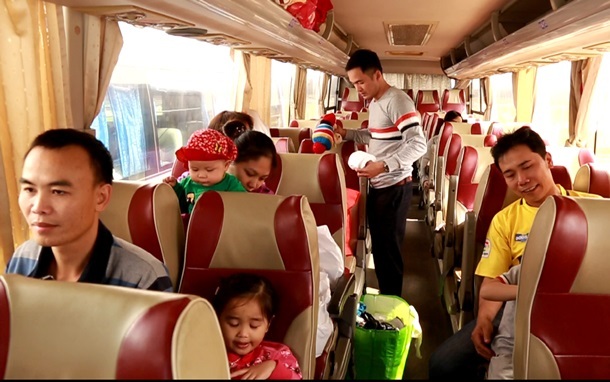 The company supplies eight 45 and 50-seat express buses to convey 308 employees and their families home for Tet 2019. 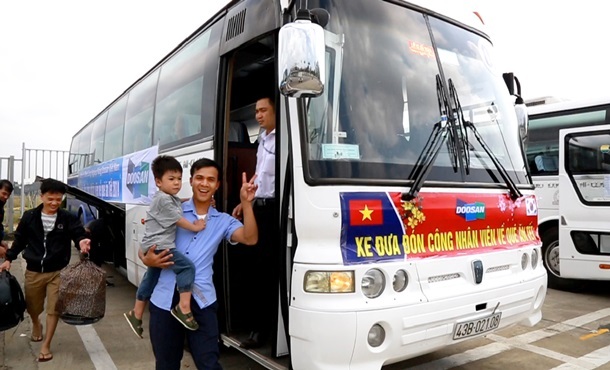 The buses head to three directions to 14 provinces including: Quang Nam, Da Nang, Hue, Quang Tri, Quang Binh, Nghe An, Ha Tinh, Thanh Hoa, Ninh Binh, Hai Phong, Ha Noi, Binh Dinh, Gia Lai and Dak Lak. Distance to the North is 1,140km with the last stop being Hanoi bus station while the South Central is about 250km to Binh Dinh bus station and the terminal for the Central Highlands will be Daklak bus station with 500km from Doosan Vina. “I used to have 5 years living in Vietnam so I really understand how hard it is to find transportation before and after Tet holiday. I find it’s really a stress and obsession for many people. Tet is the major festival of the year for Vietnamese and Korean, too. Therefore, Doosan Vina has been providing vehicles to bring our employees to their hometown so that no one has to welcome the New Year away from home in sadness.” said Doosan Vina CEO Jeong Young Chil. After 9-day vacation, they will bring employees back to work on February 9 and 10 (or the 5th and 6th of Lunar New Year) depending on their locations. This is the 11th year in a row that Doosan Vina has implemented this welfare policy since 2009 and there have been 2,963 employees benefiting from this program.